Your Vested Balance Is the Part That Goes With You. When you put money into your 401(k) plan, the money is yours. What your company puts in could be yours only if you stay employed there the required amount of time. The schedule that determines what you get depending on how long you stay is called a vesting schedule. 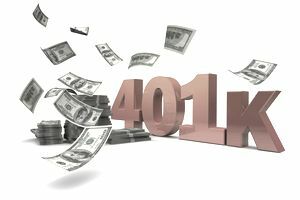 401(k) vesting, or what is called your “vested balance”, refers to how much of your 401(k) balance goes with you if you leave the company. Vesting is also used to determine how much you can borrow if you take a 401(k) loan, as you can only borrow from your vested balance. Here's how 401(k) vesting works. You are always 100% vested in your contributions, so you always keep your own money. You could put money in today, and even if you leave tomorrow, the money you put in your 401(k) plan from your own earnings belongs to you no matter what. There are several types of company contributions and they can have different vesting schedules. Safe harbor match – 100% Vested: If your employer uses what is called a “safe harbor match” then you are 100% vested in that portion of the company contribution. Each year near the end of the year the company sends a notice which describes their match provisions. This notice will let you know if they use a safe harbor match. Regular match and profit sharing contributions – subject to a vesting schedule: Regular matching contributions (which are those that do not fall under the safe harbor provisions) and profit sharing contributions may both subject to a vesting schedule. Cliff vesting: Under a typical cliff vesting schedule, if you leave prior to 3 years you cannot take any of the money the company put in for you. After 3 years, you are 100% vested, so all company contributions are yours from that point forward. Graded vesting: With a graded vesting schedule, you keep a portion of the money the company has put in depending on how long you have worked there. After 6 years all company contributions are yours from that point forward. Below is a common graded vesting schedule. Before you change jobs you may want to check the vested account balance of your company retirement plan. Depending on your company's 401(k) vesting schedule, waiting just a bit longer before leaving your employer could add thousands to your account balance. And of course, don't cash out your 401(k) balance when you leave. Let it grow or roll it over to an IRA so it can keep working for your retirement years. If you have old 401(k)s from previous employers you don't have to consider vesting because you're not there anymore. With old 401(k)s consider consolidating accounts into one IRA to make tracking and managing your finances easier. Finally, resist the urge to manage the money yourself if you leave and roll it over to an IRA. Your retirement money is not a good way to learn how to invest. Let a financial adviser manage your retirement dollars and learn the basics of investing using virtual dollars. The popular search engines have fake accounts you can practice with.